The national average of the dam levels across the country has this week received a slight increase of 2.1% from 60% last week to 62.1% this week. This is according to the dam levels report issued by the Department of Water and Sanitation, after measuring the 215 dams across the country. The department, however, noted that even though there was a meagre increase, Eastern, Western and Northern Cape Provinces remain national disaster areas, as announced by the Department of Cooperative Governance and Traditional Affairs recently. This is due to the severe drought effect that is currently being experienced in the three provinces. The Eastern Cape and Western Cape Provinces are the most affected provinces with Cape Town and the Nelson Mandela Metros both being placed under water restrictions. “The water levels in Eastern Cape increased slightly from 61% to 62%, however the area of Nelson Mandela Bay and Butterworth remain water stressed with dam levels decreasing alarmingly. The Algoa Water Supply System that supplies water to dams in Port Elizabeth remain just above 25%. “The situation in Western Cape remains unchanged with the provincial average of water levels at 22.5%, a decrease from 22.9% last week. 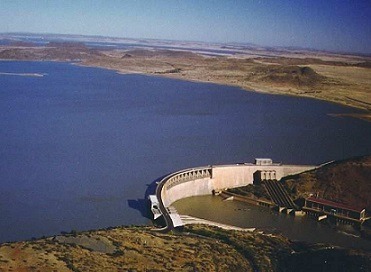 The Cape Water Supply System is at 24.2% this week from 24.4% last week,” the department said. Meanwhile, the department, together with its partners have launched the #SaveWater initiative to promote water saving. The #SaveWater Ambassadors are currently on a roadshow to educate children in 100 schools across the Western Cape about water conservation. 64.2%, Mpumalanga 76.7%, Northern Cape 79.7%, North West 68.1%, and Free State 68%. The department reminded all water users that water challenges should not be reduced to Eastern, Western and Northern Cape only.